Fortnite is one of the most popular games in the world. Without about two hundred million people playing the game at any given time, it's very easy to look at the game as the king of the mountain. But after just a month, Apex Legends had reached over fifty million players - and the numbers are still rising. As the competition becomes more fierce, let's look at what the games have in common and how they are different. If you like videos more than reading, here's a good run down of the differences and similarities between Apex and Fortnite. If you're looking for basic similarities, you've got to look at the genre. Both Apex and Fortnite are part of the Battle Royale genre, a genre in which players are pitted against one another in an increasingly small play space. Neither one of the games created the genre, nor did either originate the modern take. Both games have their own unique spin on the concept, with both having the ability to make use of squads - something that's definitely outside of the earlier battle royale games like PUBG. Both of the games are also, at their cores, shooters. That means that the primary mode of combat in the game is ranged combat and that your goal is to kill off other players. Neither game has any NPCs of note, nor is there any real form of interaction outside of combat in either game. In many ways, the games take as many notes from older Capture the Flag games as they do from Battle Royale games. Perhaps the most important thing that both games have in common is that they are both free. You don't have to go to a store to buy a physical copy of either game and downloading either is as simple as using the storefront of choice on whatever console/platfrom you have. Both games make their money through microtransactions and, increasingly, through BattlePass mechanics. Apex's first BattlePass is on its way as of mid-March 2019, but it is expected to follow a virtually identical model to that found in Fortnite. It's expected that Apex will have a very similar monetization pattern to the older game, with more content released as the game continues to find success. Fortnite's customization is largely based on the skins that you can buy from the in-game store. There is no real difference between any two player characters, save for the aesthetic choices of skins, gliders, and pick-axes. A player who uses the default skin will not necessarily be at any type of disadvantage, though players who have certain skins are more likely to be skilled at the game due to how the skins were obtained. Because skins are so important to the overall feel of the game, Fortnite's third-person point of view is a key feature. Apex, on the other hand, makes use of heroes. No two heroes are exactly alike, functioning more like the characters in games like Overwatch or Team Fortress 2. Certain heroes have advantages in specific situations and squad composition can make a huge impact on the way that a game plays out. Most of the heroes are included in the base game, but new heroes that have to be purchased separately are already on their way. Apex is a game of squads. Players can form their own squad of three players or they can be randomly paired with two other players. The goal of the game is to ensure that your squad wins, nothing more. There are no options, and you cannot play solo or in larger groups at this time. In fact, it's much easier to see the influence of other squad-based games on Apex than on Fortnite. Fortnite is all about choice. While the initial mode of the game was a more traditional Battle Royale, the current iteration of the game supports several other options. Players can play in duos, squads, and in a few other game modes. There is no longer a default way to play the game - players are encouraged to play a version of the game that suits them the best. As such, Fortnite continues to evolve in new ways and seems likely to try out experimental new game modes as time goes on. If you're looking for simple differences, it's a good idea to take a look at numbers. Apex has up to sixty players, while Fortnite supports one hundred. Fortnite has been out for just under two years, while Apex has only been released for a few months. Fortnite is on its eighth season, while Apex is currently finishing up its first. The two games are separated by numbers in many ways, some of which are more important than others. The difference in numbers shows not only two different types of design decisions but also the different paths that the games are taking as their respective stories unfold. Apex Legends and Fornite are, at the moment, the two most popular ​battle royale games on the market. Beyond the window dressing, though, the two games are quite different. Figuring out which one is actually better, though, is a matter of personal preference. Fortnite has history and numbers on its side, but Apex is innovating in interesting ways. Which is better is ultimately up to the player. 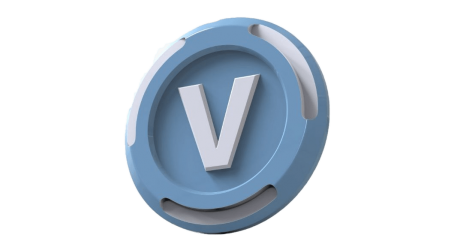 Every month we give away 1,000 V-BUCKS. Drop your email to be entered in the drawing!